Lloyd's Maritime Atlas, published since 1951, is the oldest and most respected atlas in the shipping industry. The 26th edition, the latest for two years, has been completely updated but has retained the traditional design. 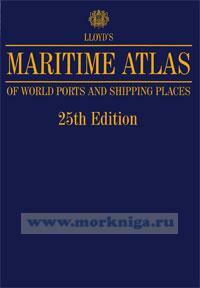 This authoritative publication is the comprehensive way to locate the world's ports and shipping places. The commercial ports are covered in a clear concise manner, focusing on the busiest trading routes. Each regional map features distance tables and ports on a world table.